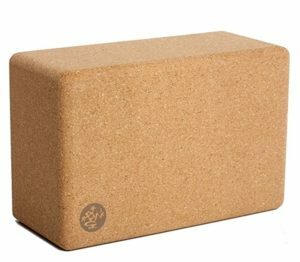 Since there are many yoga blocks on the market, this article reviews 5 of the best, all of which are made from eco-friendly materials. We have practiced many times with both foam and cork blocks. After reading several reviews, the products shown here were selected based on high satisfaction rate and more than 100 reviews on Amazon. As far as yoga accessories are concerned, finding a perfect mat is likely the biggest challenge. You can read our review of the top yoga mats here if you’re still on the look out for yours. Thankfully, finding a good yoga block, strap, bolster, or other prop doesn’t seem to be such a challenge. As we already mentioned, the blocks reviewed here all get great reviews by many customers. The biggest decision for you to make it cork or foam. Take a look at 5 of the top yoga blocks of 2019 that are all eco-friendly. Peace Yoga blocks come in a pair of either 4 inch tall or 3 inch tall blocks. Although they list the product as “cork wood”, the details of the blocks and comments from them in the FAQ section list them as cork. Most reviews listed these as a great addition to their practice, and for the price, it’s a no-brainer to get these to help your yoga practice. There were a few low reviews mainly for their weight (users preferred foam blocks instead) and a couple mentioned that the edges crumbled – but this was not the general consensus. 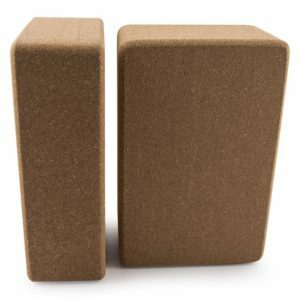 These cork blocks from Bean Products can be purchased as a single block or as a two-pack. Like Peace Yoga, these blocks come in two different sizes (4 inch and 3 inch). When we reviewed these, they were slightly more expensive than the Peace Yoga blocks. In their description, they mention the use of large grain cork to help minimize crumbling. Like other cork blocks, these ones have a small handful of reviews that mention shedding or breaking. There was also a mention or two of the edges here feeling crude. However, most of the low ratings came from users thinking the blocks were too heavy. NOTE: Cork blocks are much heavier than foam blocks – factor that in while making your decision. This block seems to be a perfect pick for people willing to pay extra for a popular name brand product. In general, these blocks have very good reviews. There were a few mentions of mold when they received them, but very few negative reviews about chipping or crumbling. Also, during the harvest and manufacturing of the Manduka cork blocks, no toxic chemicals are produced. This is extremely important for many yogis. Plus, these blocks are 100% cork. These blocks are only offered as a 4 inch option and they are purchased as singles (not a two-pack). Reehut has created a really great product here. Not only are the overall reviews overwhelmingly positive for this product, there are thousands of purchases of the product as well. These come in 8 different colors and they’re made with a 100% non-toxic and eco-friendly material (High Density EVA) designed to be non-slip and moisture-proof to keep bacteria away. They come as 4 inch blocks in single or two-packs. In general, it seems that the handful negative reviews were due to shipping issues or products being damaged during shipping. Other users who didn’t love them thought they were too soft (those reviewers may prefer cork blocks instead). NOTE: Foam blocks are not as firm as cork blocks. Take that into account while choosing between cork and foam. 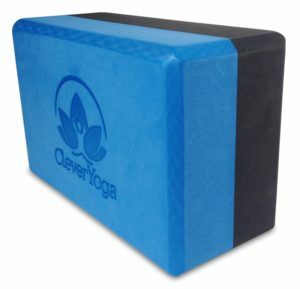 As another great foam block option, Clever Yoga Blocks provide yogis with a cost-effective foam block option. They are 4 inch blocks that are purchased as a single block. You can choose from 3 different bi-color options. Like the Reehut blocks, these are made from durable, eco-friendly High Denisty EVA. In general, these blocks get really great reviews from users on Amazon. 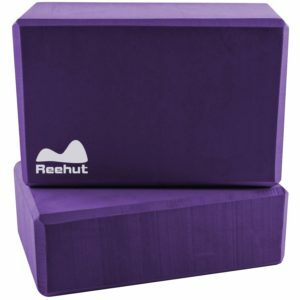 However, they are priced slightly higher than the Reehut blocks. Blocks give us access to better alignment in many yoga poses. When the floor seems a bit to far away, a sturdy block can help bring the floor “up” so you can have a solid foundation to move from. Blocks can also help us get more depth and/or balance in our poses. And, sometimes, it’s nice to have them as a tool for working out trigger points in the muscle and opening the body with more ease. I also like using my cork block during meditation as a firm, grounding prop in virasana. The biggest thing you’ll need to decide is whether you prefer the firm support of a cork block or the lighter weight, softer foam blocks. If you plan to travel around a lot with your blocks, like to use them as support for your head, and/or want to keep your costs low – one of the foam blocks will likely work best for you since they are lighter in weight, softer and more pliable, and more inexpensive than the cork block. 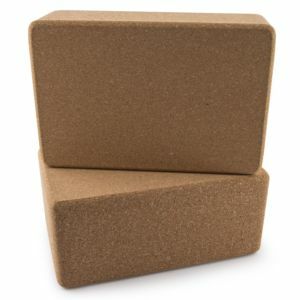 Alternatively, if you are looking for something that’s more durable and that provides a solid foundations of support in your poses, and you don’t mind paying a little bit extra, the cork blocks listed might be better suited for you. 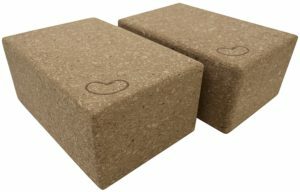 Personally, I prefer cork blocks for the sturdy support they provide in standing poses and the density they offer for grounding while in seated or laying poses. Since everyone has different values and our practices are all unique it’s important to realize what may suit one yogi may not be the best option for another.